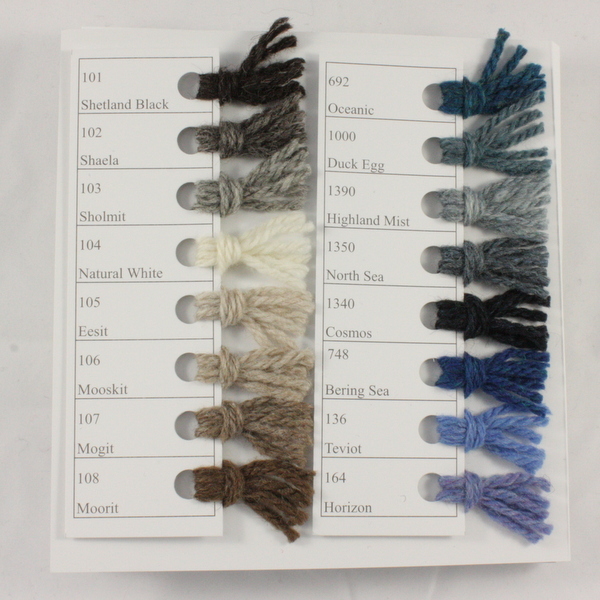 Shadecard for our Shetland Heather (Aran Equiv.) 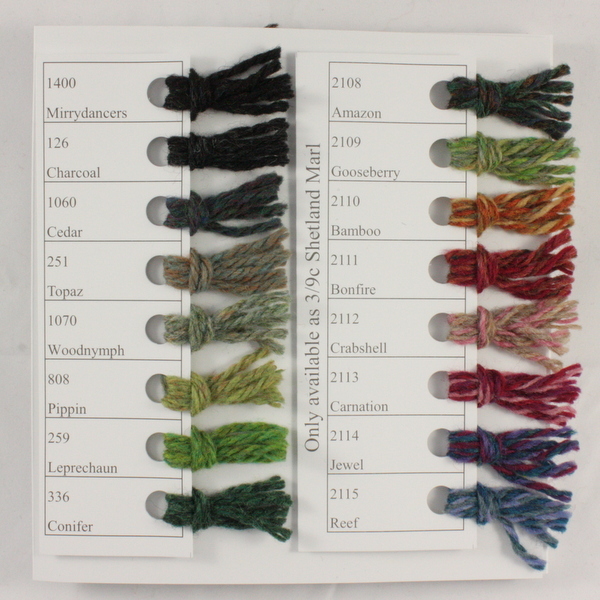 and Shetland Marl (Chunky). 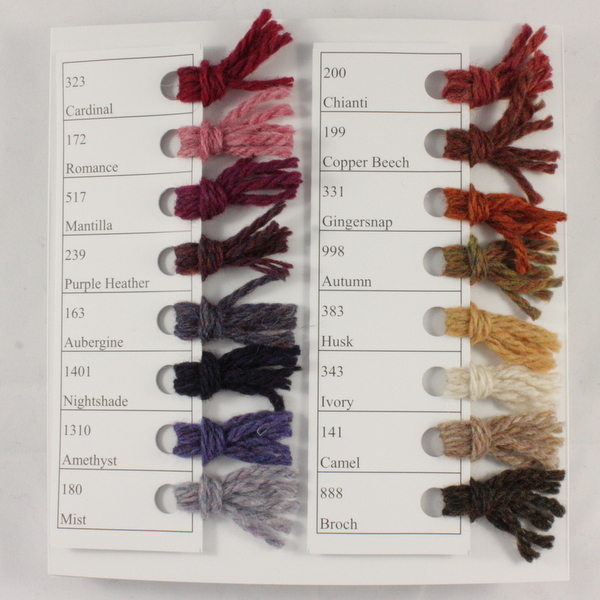 48 Shades including 8 naturals and 8 tweed marls.